It's been a full on week of sparkle barring the last couple of days when I've been pretty ill, still feeling quite horrid this morning but I'm off into the world for 2 photo shoots in Jesmond Dene this morning and then I'll run home to a blankie on the sofa I think! This weekend I have 4 photo shoots in Wharton Park, Durham and then 6 in Jesmond Dene on Sunday so it's a much busier weekend than the last couple of weeks but that's a good thing, I really need those 2 weeks off at Christmas without worrying about financial implications, it's always a bit of a battle taking time off when you are self employed! 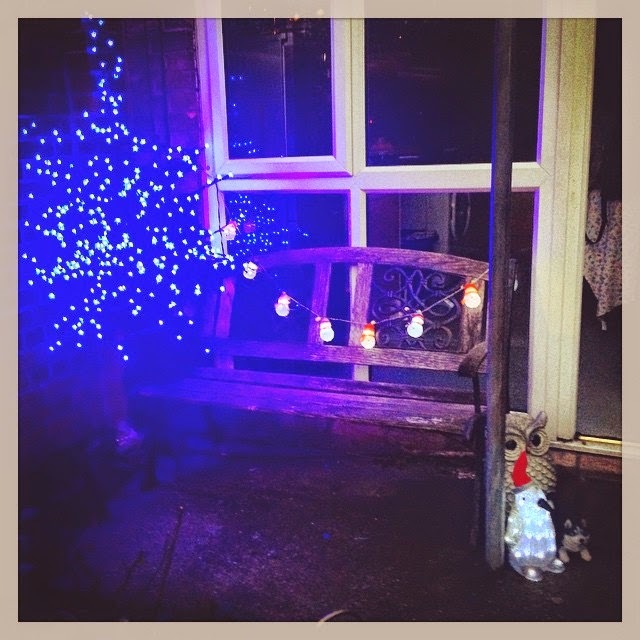 I have kept up with living a life of sparkle and yesterday once the bin men had taken the 20 black bags I'd cleared from Abigails bedroom I managed to make our seating area just a little bit more sparkly and festive. It's still a little too early for the Christmas decorations but it's never too early for a bit of extra sparkle in our lives. So whilst you go about your wonderful weekends enjoy every minute of them and remember that being nice doesn't cost anything at all, be kind to yourselves and others dear reader and I'll be back on Monday to regale you with tales from my weekend, hoping to fit in just a little festive stroll around Durham tomorrow after my photo shoots!